Hot rolling is compared with cold rolling. Cold rolling is rolling under recrystallization temperature, while hot rolling is rolling above recrystallization temperature.In simple terms, a billet passes through several passes of rolling after being heated, then cuts the edges, and is then rectified into a steel plate, which is called hot rolling. 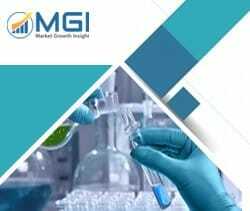 This report studies the global Hot Rolled Structural Steel market status and forecast, categorizes the global Hot Rolled Structural Steel market size (value & volume) by manufacturers, type, application, and region. This report focuses on the top manufacturers in North America, Europe, Japan, China, and other regions (India, Southeast Asia). Focuses on the key Hot Rolled Structural Steel manufacturers, to study the capacity, production, value, market share and development plans in future. Regional and country-level analysis of the Hot Rolled Structural Steel market, by end-use.